The gentleMACS™ Family of tissue dissociators is designed to ensure rapid and standardized dissociation of tissue samples into single-cell suspensions. No matter the tumor entity, gentleMACS Technology is gentle on cells and provides excellent cell viability and functionality for further downstream cell separation, analysis, or culture. Watch how the gentleMACS DIssociator can help speed up your workflow of dissociating tumor tissue. Knowing your epitopes is a prerequisite for many downstream applications, including cell separation, flow analysis, and cell sorting. 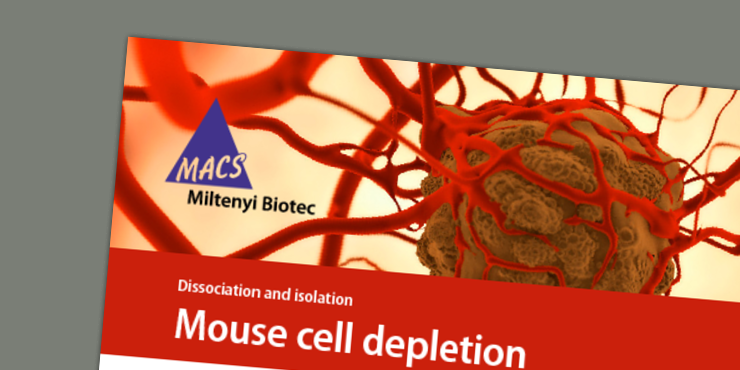 Our guaranteed lot-consistent enzymatic activities prevent the unpredicted loss of cell surface epitopes. We have generated epitope lists for the Tumor Dissociation Kits, mouse and human that include more than 200 epitopes, which were analyzed after dissociation with these kits. 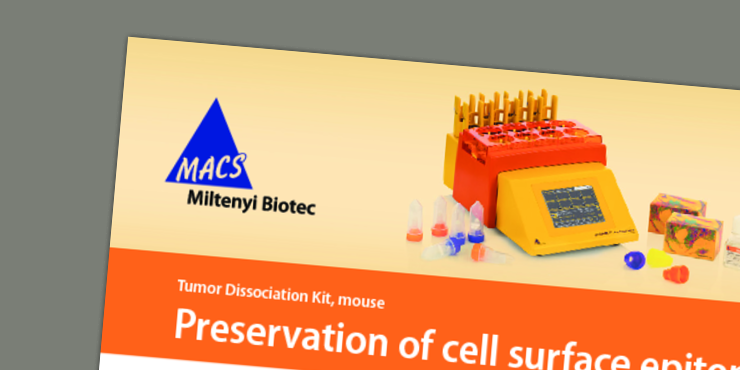 Cell isolation from primary tumor tissue using MACS Technology delivers highly viable and pure cells. The combination of MACS MicroBeads, Columns, and manual or automated magnetic separators provide the perfect tool set for high recoveries and purities. Gentle isolation ensures viable and functional cells for any downstream analysis. For more detailed applications, also visit the section on untouched tumor cell isolation. Listen to the lecture delivered by Dr. Olaf Hardt during Tri-Con 2016 at the Moscone North Conference Center, San Francisco, CA, and learn more about isolating pure tumor cell populations from primary tissue and subsequent isolation of pure tumor cells using immunomagnetic cell isolation.